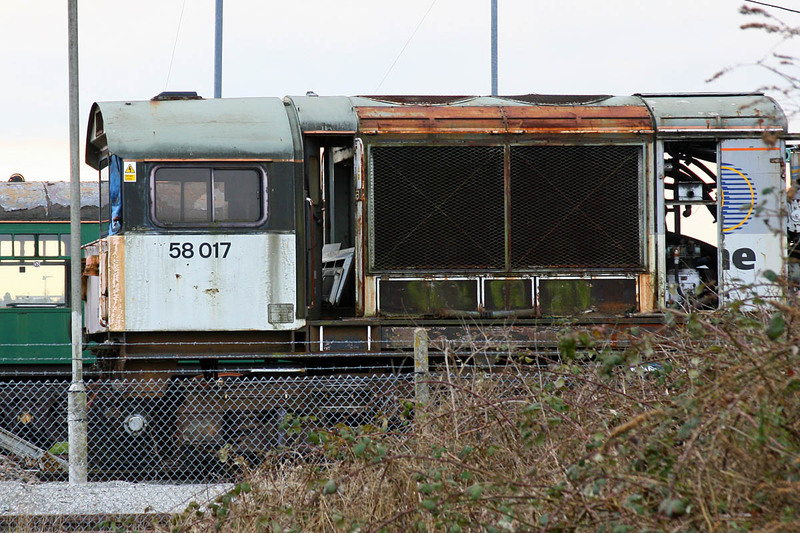 47839 (new from Brush in April 1964 as D1728) has been put out to grass, partially stripped. 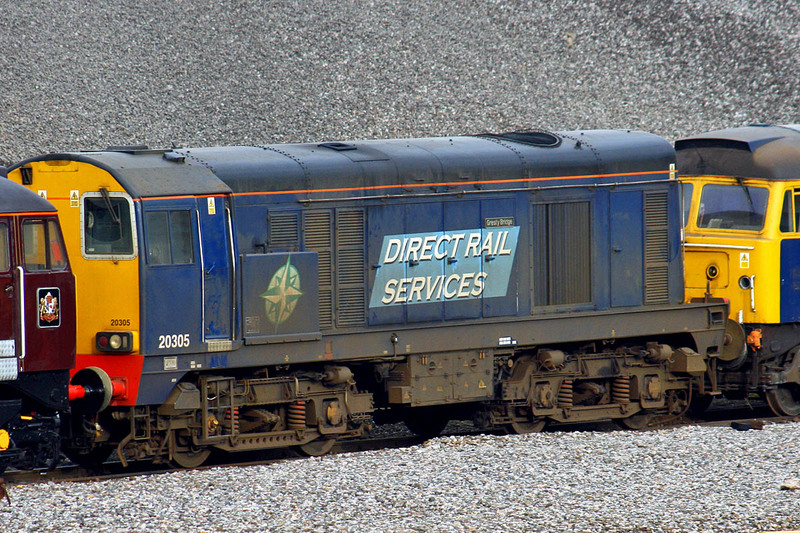 Stored since January 2008, PEGASUS nameplates removed. DBSO 9710 beyond. 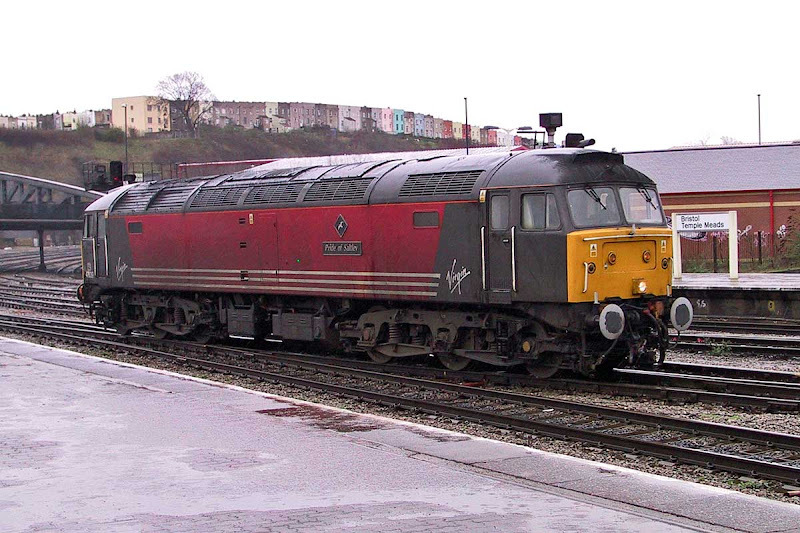 47790 Galloway Princess (new from Crewe as D1973 in November 1965) recently arrived at Eastleigh, possibly for cooler group replacement. 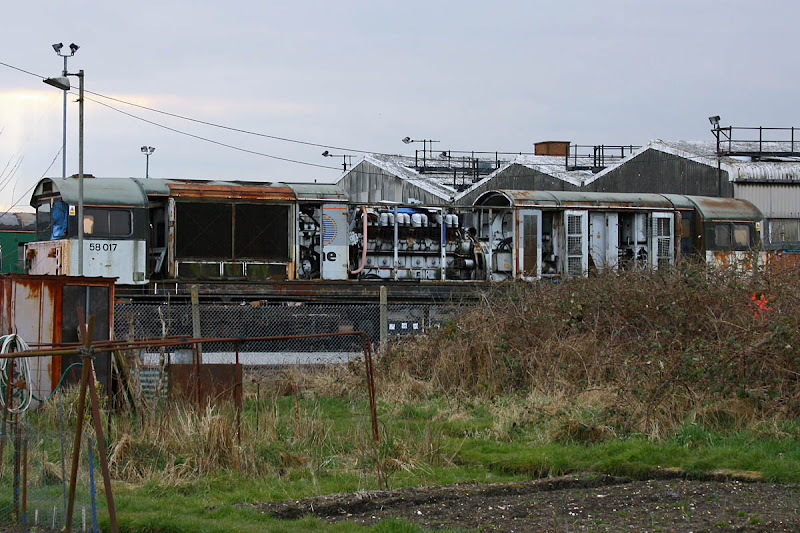 20305 Gresty Bridge, originally D8095 delivered in October 1961 from Robert Stephenson & Hawthorn, rebuilt by Brush in 1996 and renumbered. 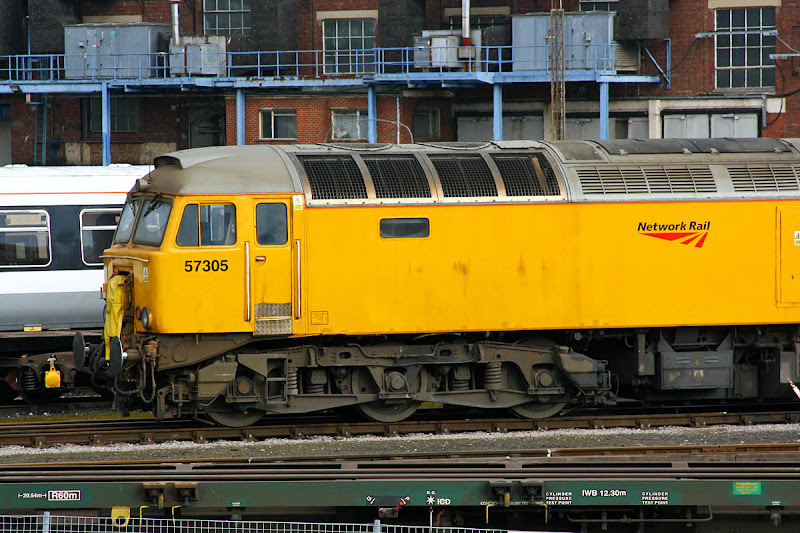 57303 has not worked since its failure at Dorchester in January. 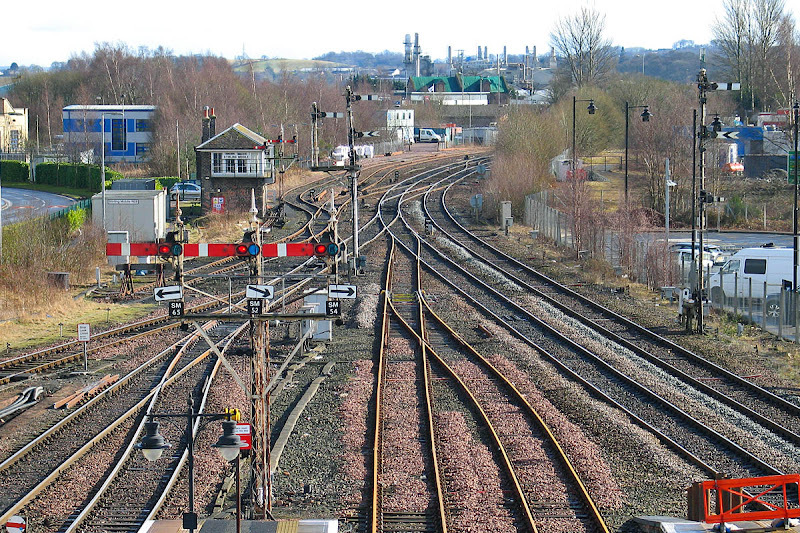 New from Brush in January 1967 as D1957, and later 47705 Lothian. 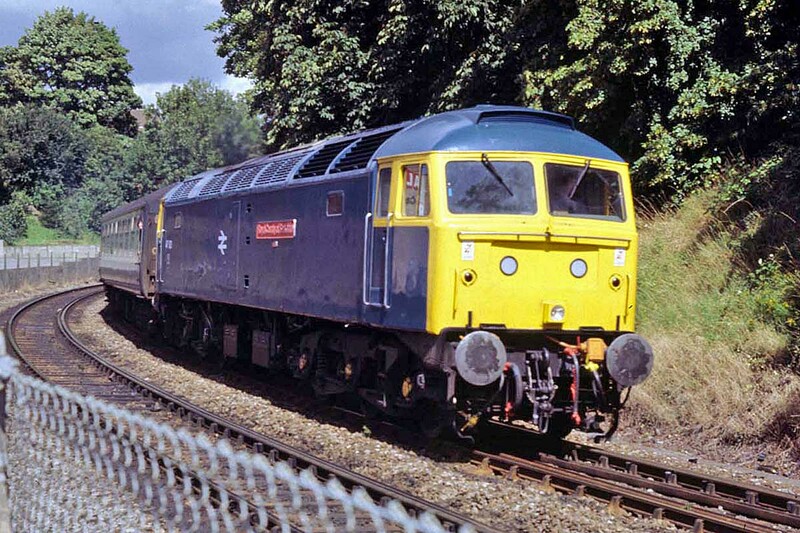 57305 was new in May 1964 from Brush as D1758, and later was Union Jack D1964 in 1977. Now on the SITT with 57310. 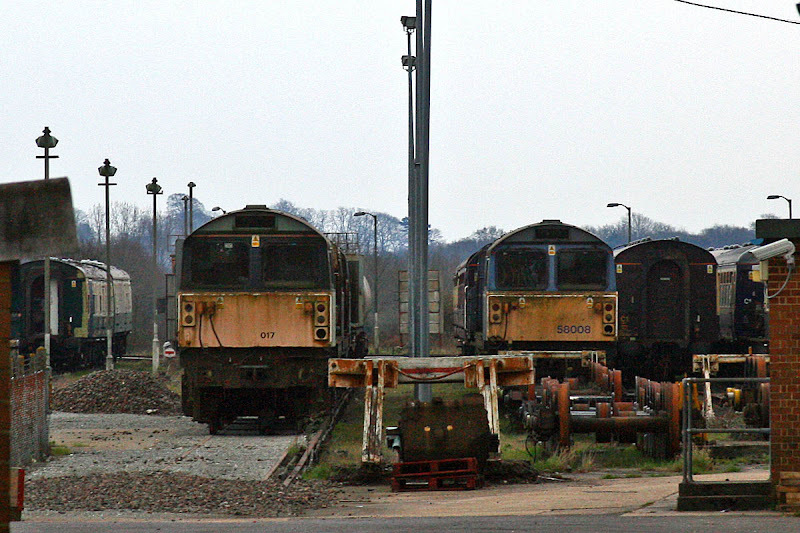 As mentioned in the weekly update, and also at wnxx.com, the Class 58s which were grounded at Eastleigh are now back in the sidings, awaiting their removal for disposal. 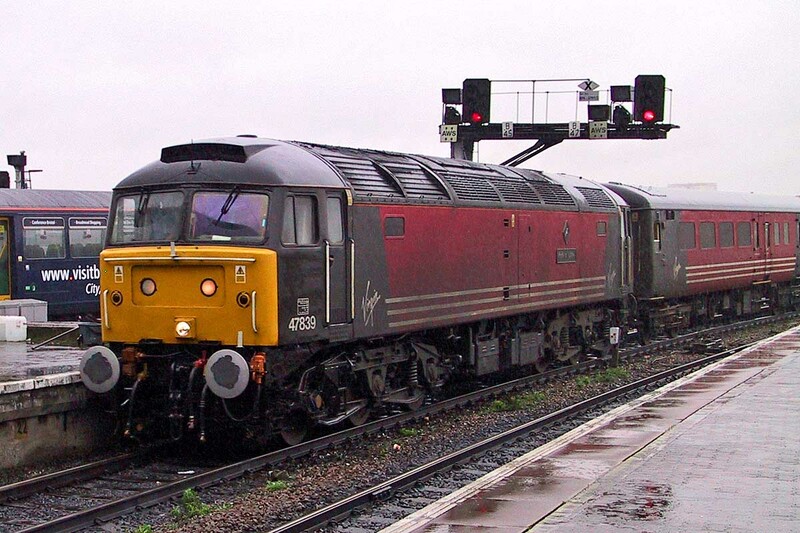 58017 and 58008, the latter as transferred from Toton via Eastern Docks. 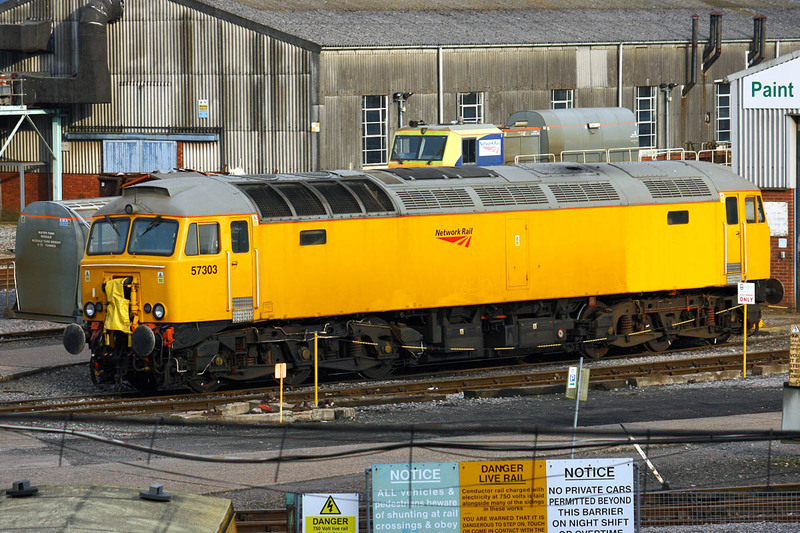 58017 with 12RK3ACT engine open to the elements. 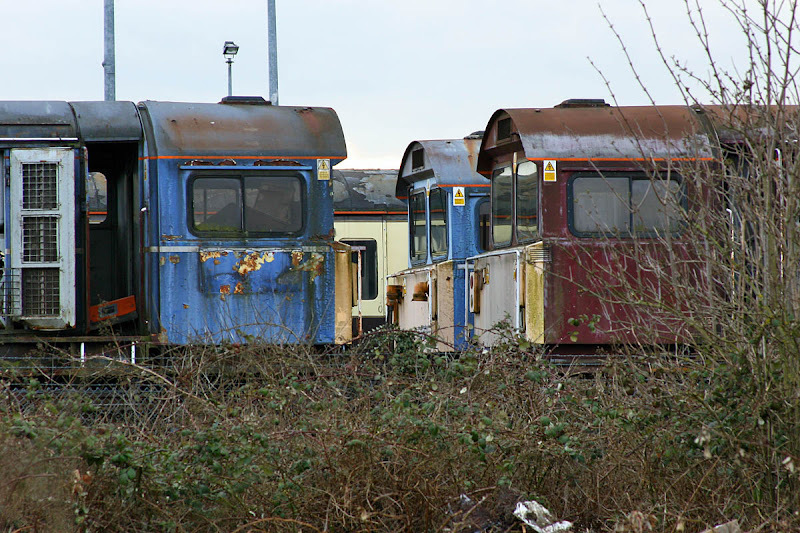 Cabs of 58002, 58008 and 58037. Considered to be one of the finer collections of semaphore signals still in use on Network Rail, planning permission has been given for LED signals as replacements, while retaining the two signalboxes, which are both listed buildings. 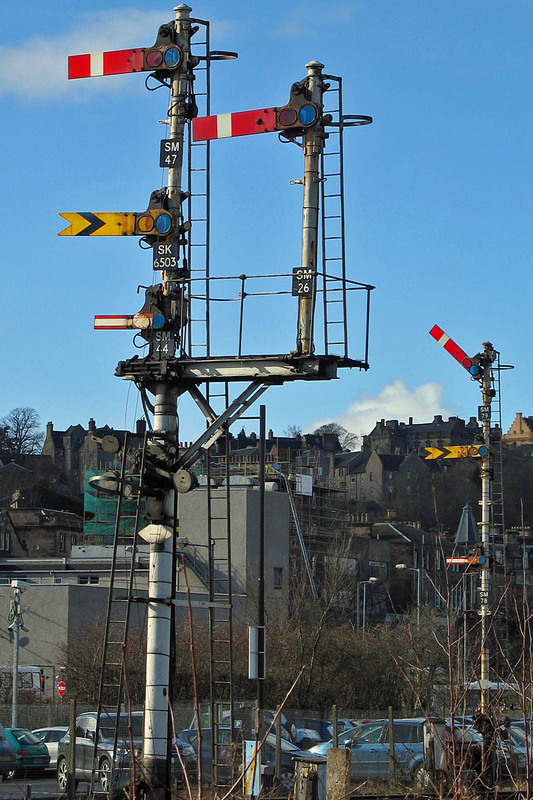 One condition is that a Caledonian Railway signal is to go on display in the station concourse. 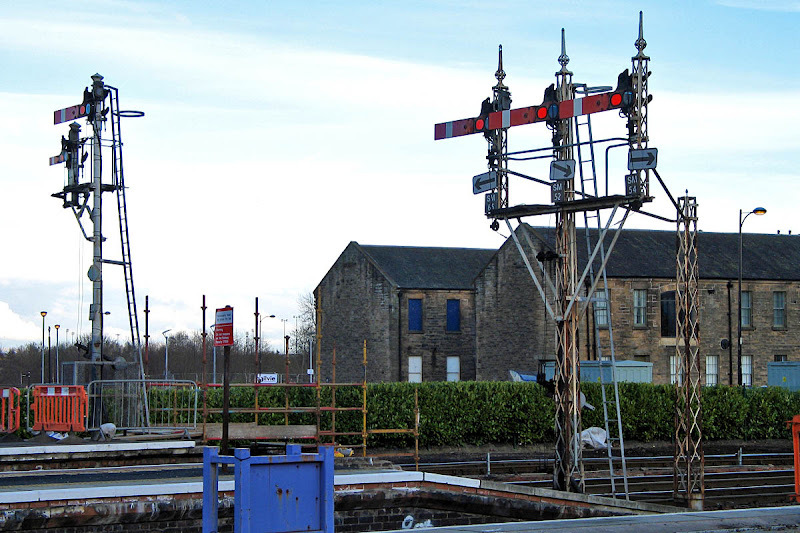 The Caledonian Railway triple starter (it appears with BR arms) is scheduled for removal to The Museum of Scottish Railways at Bo'ness. 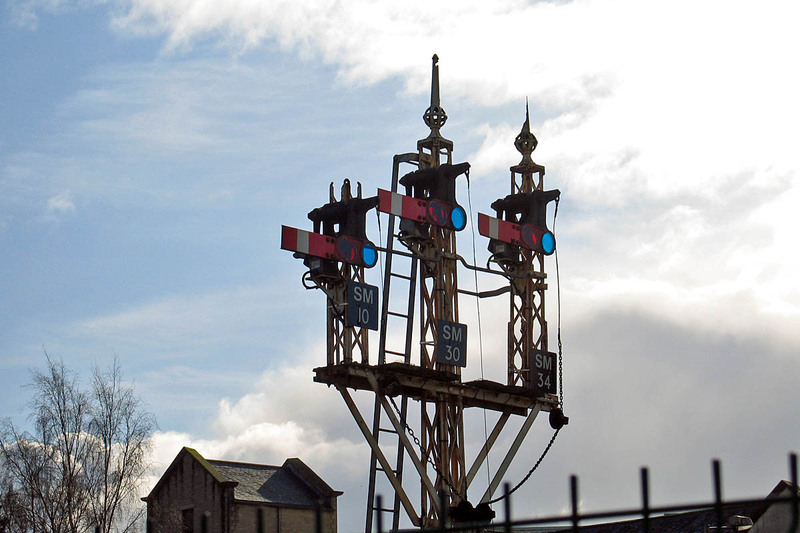 These Caledonian Railway signals, adjacent to Stirling Middle, are suffering from corrosion to the finials. A ground level view at the south end of the station. Stirling Middle, opened 4th August 1901. 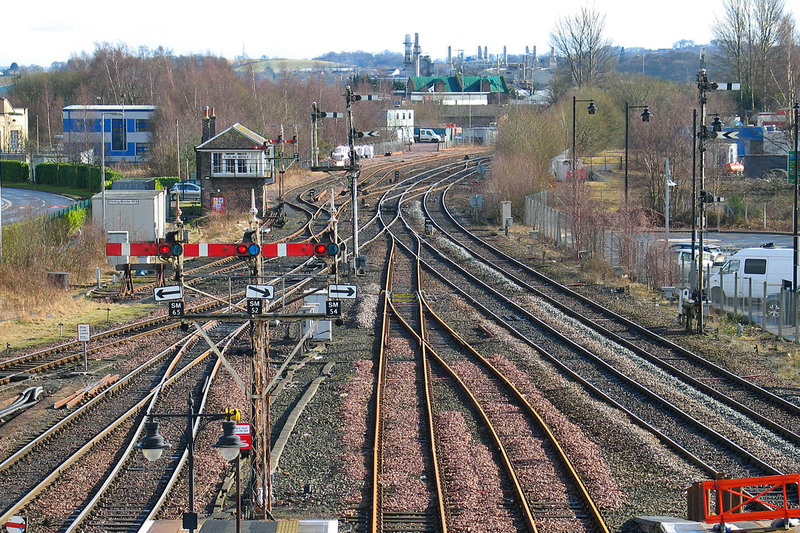 Stirling North and down starter - this box controls only Perth direction and has just wo semaphores. 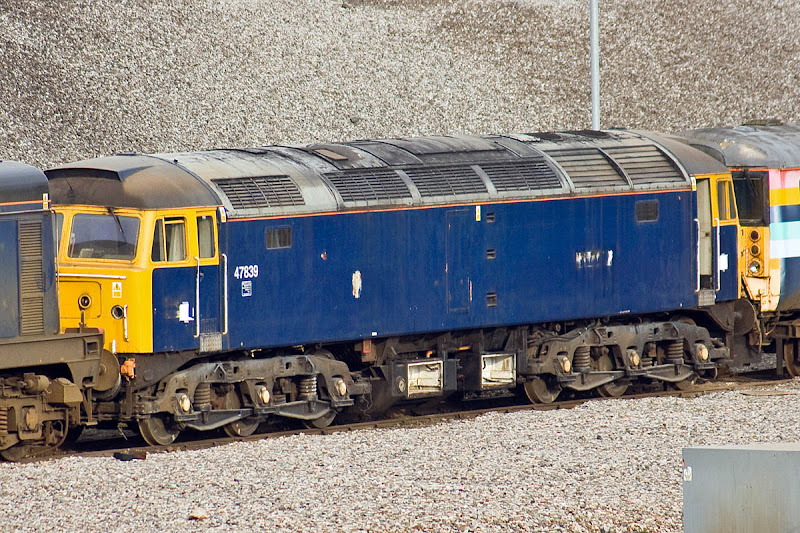 Following my selection posted last week, Dave Mant has shared a picture of the locomotive running as 47621. 47621 Royal County of Berkshire passing Milford, Salisbury, 10th August 1985. 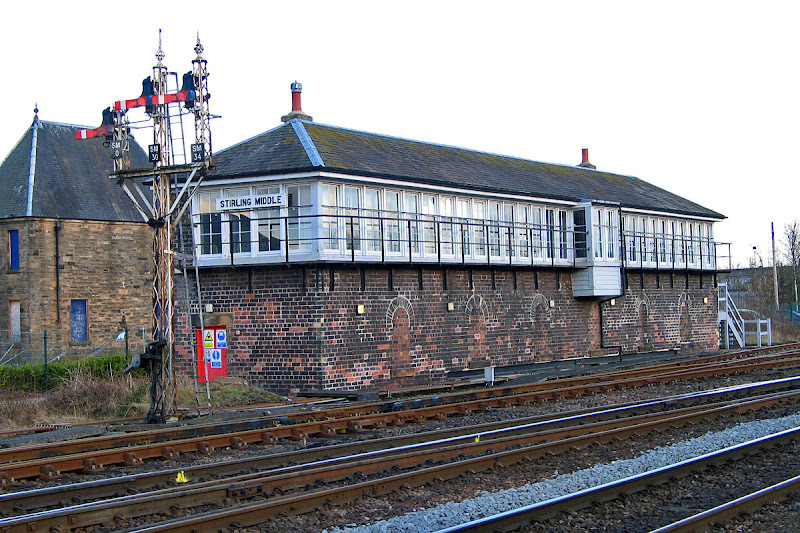 Image by David Mant. 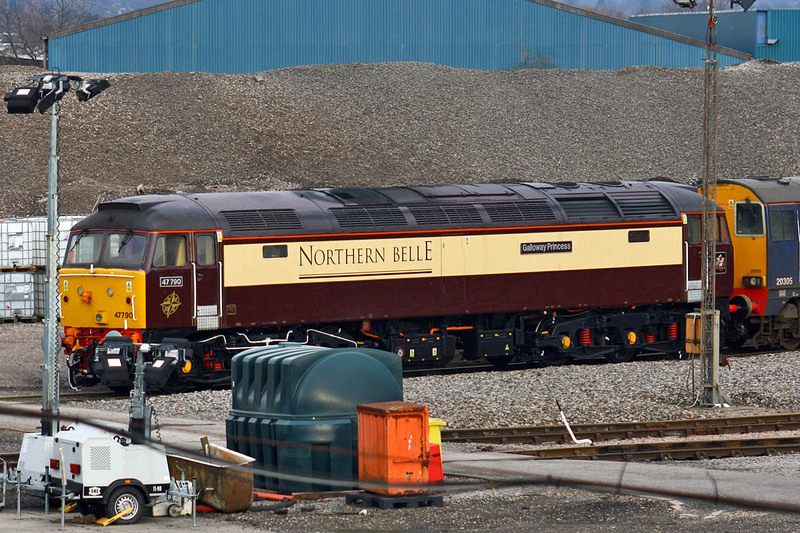 There are some pictures by Carl Watson of 47839 arriving and in the works. 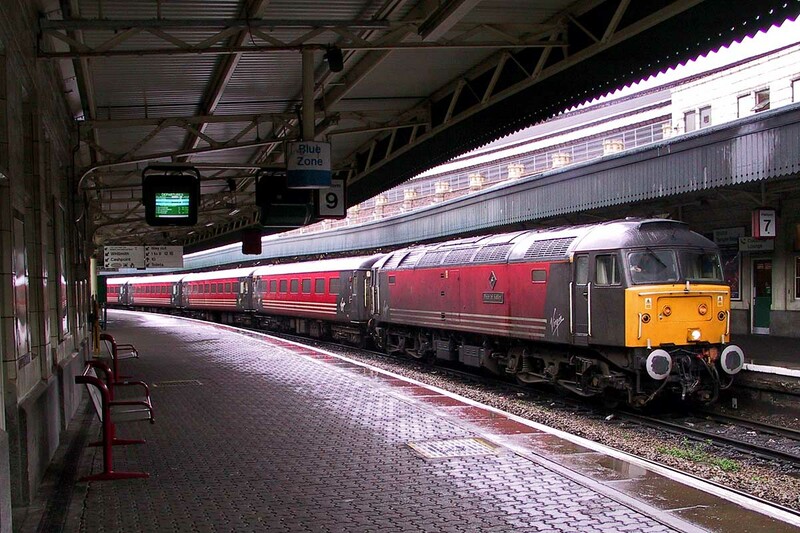 Three pictures of 47811 at Bristol on 11th February 2002. 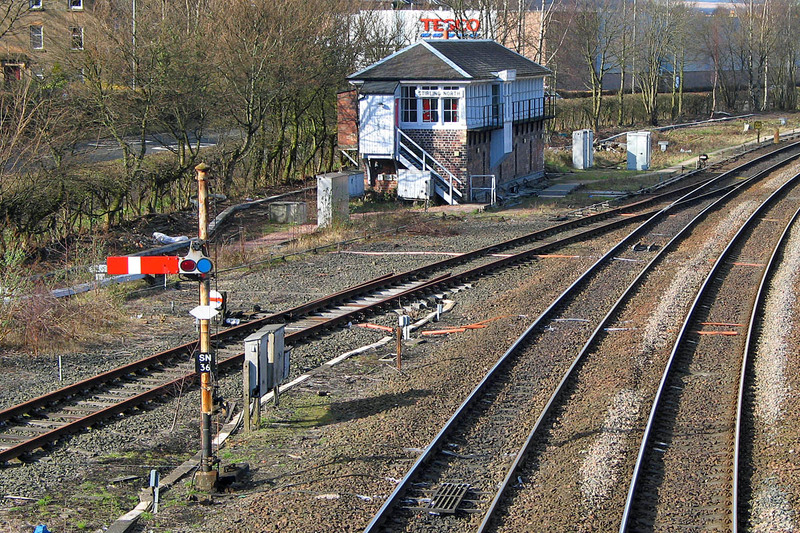 Arriving with 1V39 07:11 Leeds - Bristol. 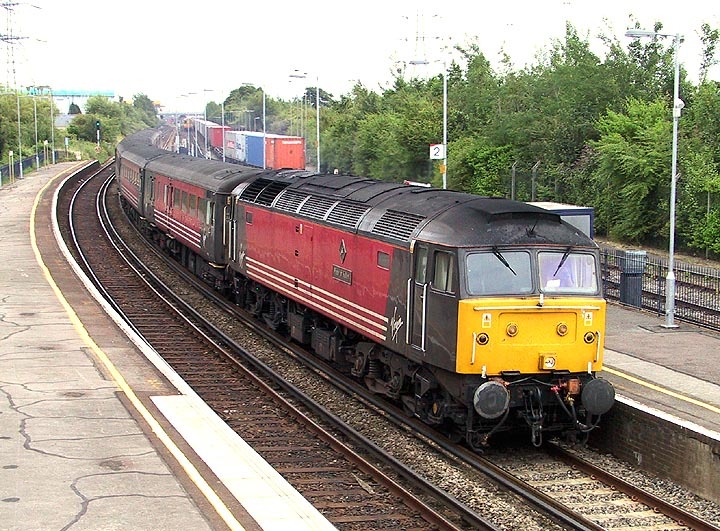 Running past Redbridge with 1O10 09:10 Liverpool - Weymouth on 6th July 2002. 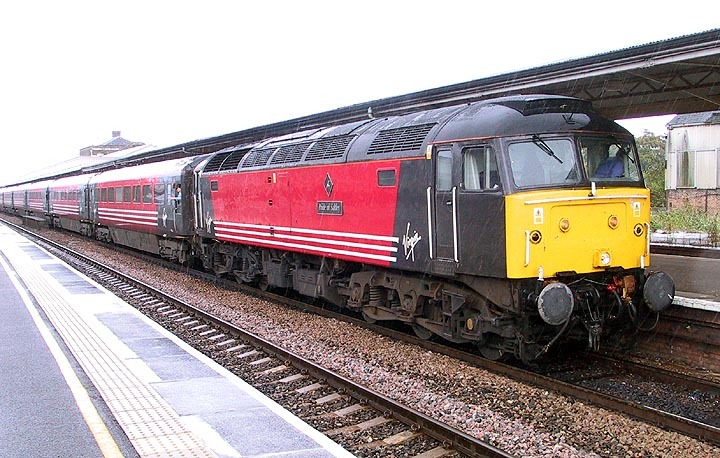 At Taunton with 1V45 09:16 Manchester - Paignton on 7th September 2002. 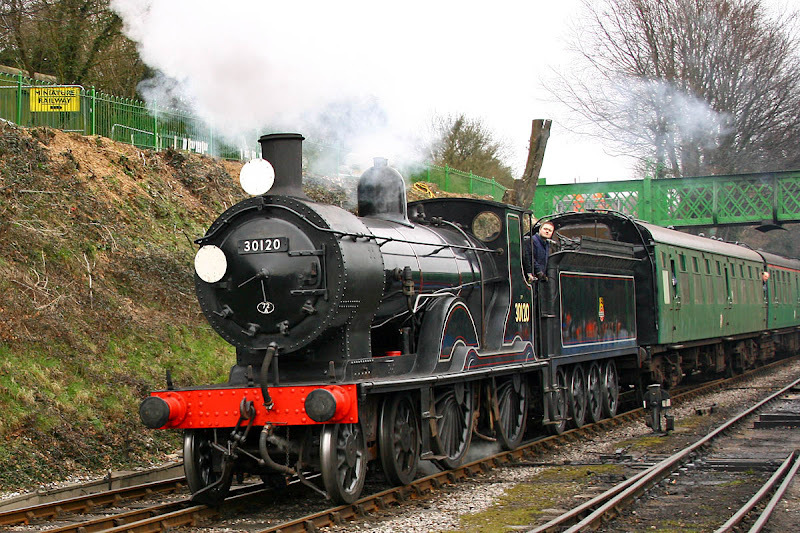 LSWR T9 30120, built at Nine Elms in 1899, approaching Ropley from Alton. 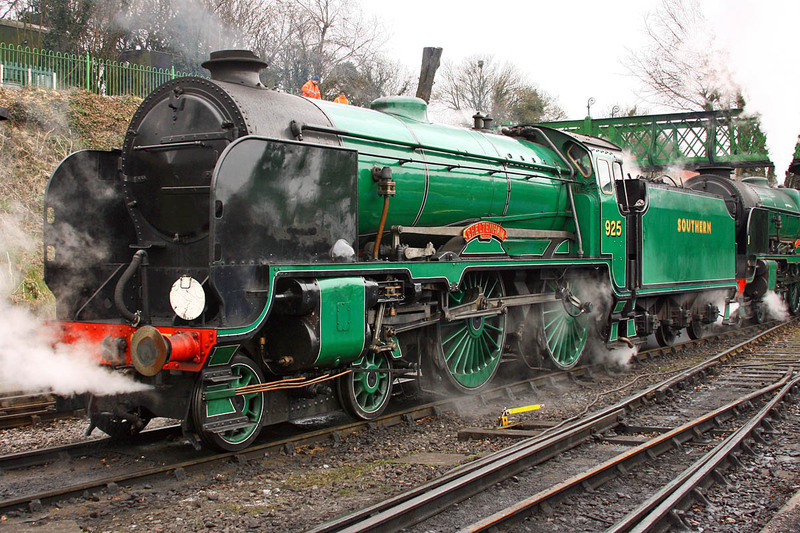 SR 925 Cheltenham + 850 Lord Nelson come off shed at Ropley before attachment on the rear of a train to Alresford. 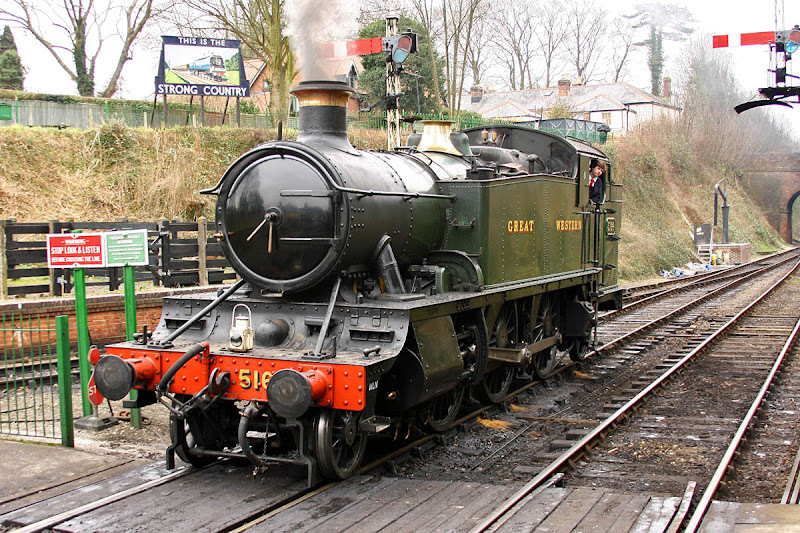 SR 777 Sir Lamiel at Ropley with a train for Alton. GWR 5101 class 5164 (Swindon 1930) arrives at Alresford for the first train of the day. 30120 approaches its train, towards the end of the day. 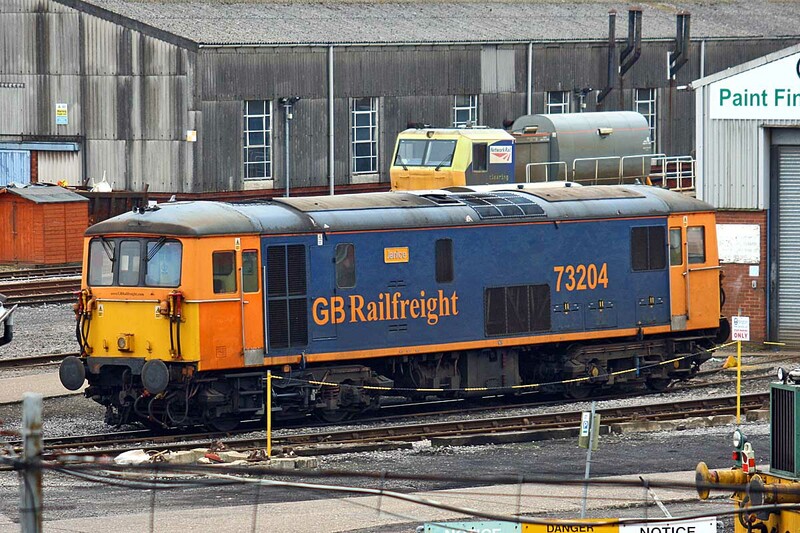 73204 Janice at Eastleigh Works, 24th February. 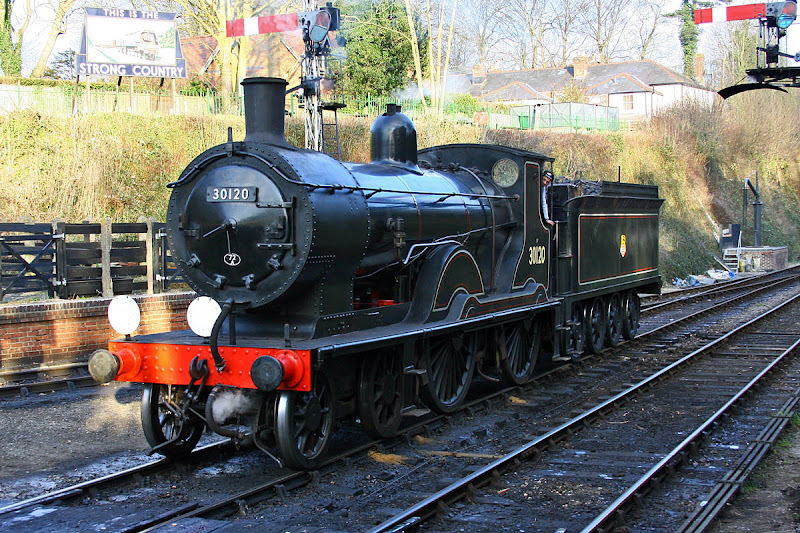 This entered the works on 23rd January with a broken spring. 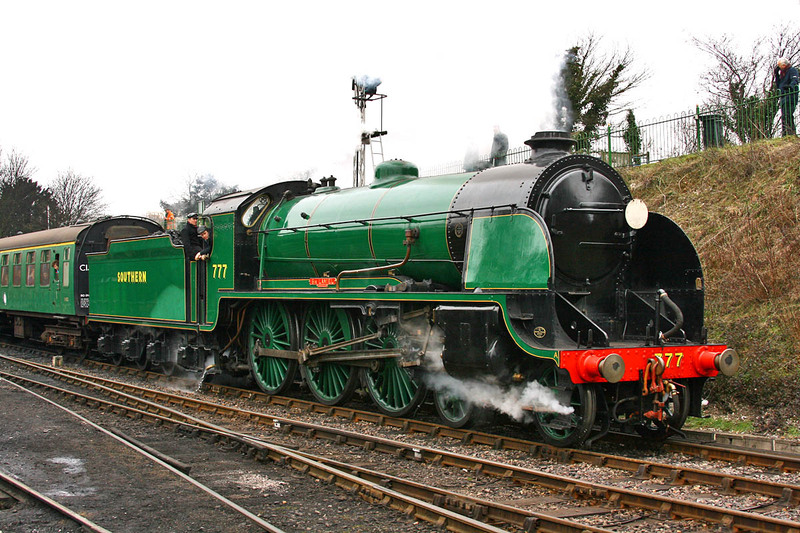 73119 was returned to traffic, light engine to Tonbridge on 26th February.